When you picture the scene in today’s gospel, how do you see it? What does the boat look like? Does it have sails? Is it covered, with a cabin? Does it have oars? Is it just big enough for all the disciples? Is it crowded? Can you feel the wind? What about the water—is it already in the boat? Are you wondering if it is about to sink? How about the scene of Job in the whirlwind? By this time in the story Job has now lost everything: all his possessions are gone, his children are all dead, his wife and his friends have abandoned him, even his body is covered with sores. What does God’s voice sound like? Is it deep, or maybe high? Is it loud—or just a whisper? What does it feel like to be Job in the whirlwind? What does this encounter with God feel like? Are you comforted? Frightened? Angry? Both passages today describe crisis, and by entering into these stories, perhaps we can feel what it’s like to experience or remember crisis: They are both existential in a way. Job has asked that most basic of questions about life: Why me? What have I done to deserve this calamity? It is the kind of question one might ask when we get a dreaded diagnosis, or we lose our jobs, or have some other tragedy befall us, such as when a person filled with hate and racism enters our church and shoots nine people at a Bible study. Why them? The gospel story seems even more immediate, a matter of life and death, and so maybe harder to relate to: The disciples are wondering if they are going to survive, and not at all sure if they will. Maybe this is a bit harder to imagine, at least it is for me, but when I have looked at pictures of migrants crossing from Africa or the Middle East to Europe, in rubber rafts bursting with people and about to sink, I think I see at least an illustration of what it might feel like. Our readings today have different endings: Job ends in the middle of God’s speech, while the gospel story resolves with a demonstration of Jesus’ power. Later in Job, God restores to the main character everything that he lost. But I’m not sure we should be so quick to move to some resolution, given the events of this week and what has been happening in the world, as if the Bible provides easy or pat answers to the storms and whirlwinds of life. The world seems to me more in crisis, and I wonder what Christian faith has to say about living in crisis, and the feeling of being in crisis, whether they are more personal like Job’s, or more immediate like those migrants in the boat. And I’m not sure that our stories in this case are necessarily very comforting. But I do think they suggest some things to think about. One thing I think stories suggest is simply that we can’t escape the crisis: There is no getting out of the boat— or at least if you do, you aren’t going to make it. Sometimes being faithful means standing in the whirlwind, listening for the holy questions God may ask us. I think God may have questions for us about Charleston, questions about why we continue to tolerate this kind of violence in our culture, and what we might do to stop it, or God may have questions for those of us who are white, about why we continue to tolerate racist attitudes among white people that continue to victimize people of color, and most especially African American people. I think God may be asking us the kinds of questions that may take a while to answer. Another thing I think these stories suggest is that faith and safety don’t necessarily go together. When I imagine that boat in the gospel, it is open to the elements, open to the storm. To be Christian is to be open to the world, and sometimes that let’s someone dangerous in, as our siblings in Charleston found out. One element that makes the case of Emanuel African Methodist Episcopal Church so frightening is that its members were practicing the kind of welcome we preach, which made possible the intimacy of that violent act. I’ve heard people suggest that churches need to beef up security, by which I presume that means keeping some people out of the boat. I’m not sure we can do that and remain true to ourselves. The last thing these stories suggest to me about faith in crisis is that we can’t do it on our own. Part of Job’s misery was that his friends and his wife had failed him; and if you’ll notice in the gospel story before the storm there were “other boats” with Jesus: Where did they go? It takes all those other boats, and all those other people, to pass through the storm to the peace Jesus promises. We are all in this together, and surviving is not something anyone can do alone. So what’s the good news? 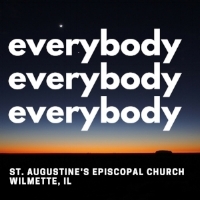 Beyond our Bible stories, today, there is one more story that might give us something to be hopeful about: As I drove up to Wilmette this morning, I had to avoid all those runners, doing the Race Against Hate, a memorial for an African American man killed by a white supremacist right in our own backyard. That race hasn’t yet brought Ricky Byrdsong back to life, and it certainly hasn’t done away with the hate and racism that just claimed nine more lives in Charleston, but it is maybe a port in the storm, an image of what we might accomplish together in crisis, and, I hope, a sign of fairer weather ahead.